This first collection includes Topps Comics issues #1–9. I always liked the X-files more during its “Monster of the week” format. These graphic novels follow that formula. The stories also end on a cliffhanger that might lead to further stories! 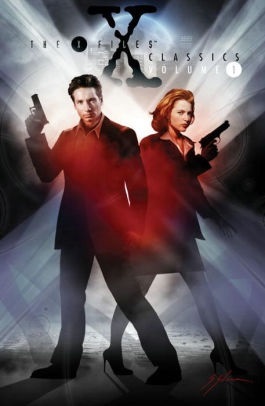 In this volume, Mulder and Scully are sent to find the Fatima Prophecy. Some want to know what it says, some want to prevent it from being read! Kidnapped, the agents are sent after an army general hiding the secrets of a UFO crash. What if the “third eye” phenomenon was shown to exist? What if you could not be certain you are dead or alive? I liked the way the standalone stories still blend into each other. I have a feeling that they will all turn out to affect each other. I give this graphic novel five stars!